Chevron Operating in Angola for over 40 years. Texaco Operating in Angola for over 25 years. Nation’s largest petroleum producer – nearly 600,000 barrels a day. Plans to implement, along with partners, significant, billion-plus investments in new developments, including Benguela-Belize and Sanha Condensate field development projects and the Angola LNG project. Nation’s largest oil industry employer – 80 percent of jobs held by Angolan nationals. Active partner in community with investments in education, health, environment. Recently was awarded a $200 million contract to develop Cabinda’s oil well services. US Export-Import Bank guaranteed an $86.6 million in loans for this contract. The further development of the Cabinda concession area will benefit all oil companies operating there. In 1996, in conjunction with Texaco, signed a production sharing agreement for Block 20 of Angola’s offshore oil site. 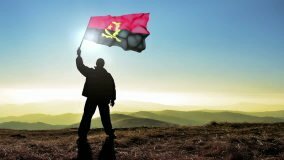 Lists Angola as its most important international market. Recently won a $70 million contract from Chevron’s Angola operations.